Find The Top Home Improvement Companies in the Omaha Nebraska area! Finding a contractor that you can trust to work in your home can be difficult. Many come in and out of business every year. The Omaha Integrity Group is an association of Greater Omaha contractors that choose to be different. Each contractor in this group takes a consultative approach with their customers to ensure that the customer achieves their ultimate goal. Each member is pre-screened and required to uphold the highest business practices. The members meet regularly to share best practices in quality control, and customer service. This ensures that every customer who works with an Omaha Integrity Group member is getting the best service and reliability available—and all for a fair price! Regular training in customer service skills for all employees. Membership in good standing in the Better Business Bureau. Performance of pre-employment drug screening. Employing a dedicated Quality Assurance Manager. Performing work to the highest standards of their industry. 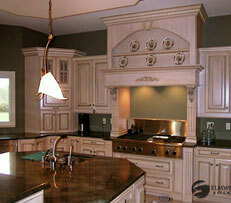 You will find that working with an Omaha Integrity Group contractor is easy. We answer the phone during business hours, and promptly return messages left after hours. If you have a complaint we will do whatever it takes ensure your satisfaction. If you ever have a concern about a contractor in this association click on the "Contact Us" link at the top of the page and send us an email. We will respond and help resolve the matter right away. The Omaha Integrity Group dedicates resources, time, and training to constantly improve each company and all of our employees. Our services range from landscaping to foundation repair, duct cleaning to window cleaning. Our members can improve your drinking water, lower radon gas levels, make a wet basement dry, and just about any other home repair you may need. Most of our members do work in Omaha, Lincoln, and the surrounding areas. Our goal is to treat you right and earn your trust for future projects. If you or anyone you know has a need that we can address, just give us a call. Check out the exclusive coupons to get a special offer on your next home improvement project.